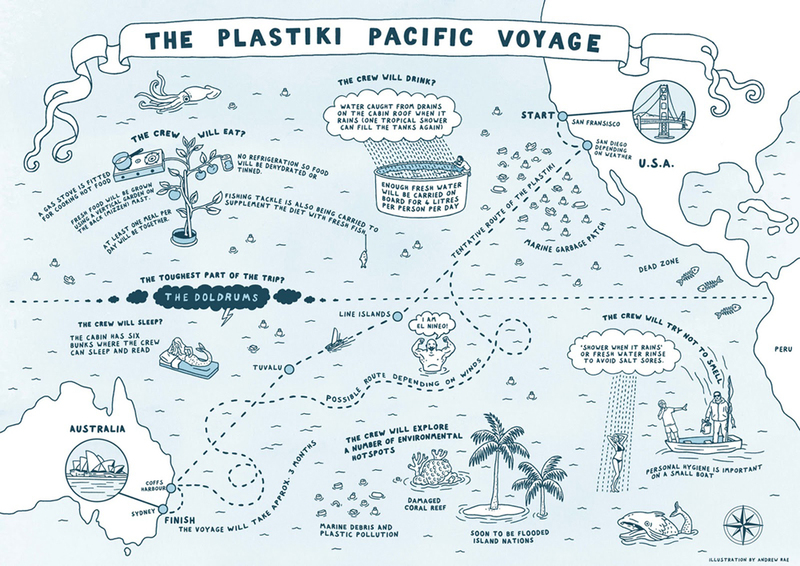 The Plastiki Expedition: A Good Example Of How To Recycle. | Travel Photography Blog by Nisa Maier and Ulli Maier. A couple of weeks ago, I posted an article about The Great Pacific Garbage Patch. During the research for the article, I came across The Plastiki. I was fascinated by the crews expedition and therefore I thought, I’d write a little bit about it. What is the Plastiki anyway? The voyage across the pacific. 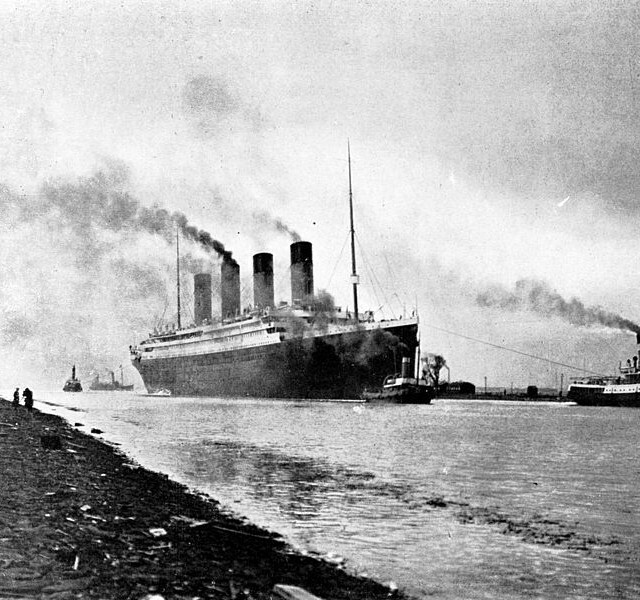 In March of 2010, the crew set their sails. 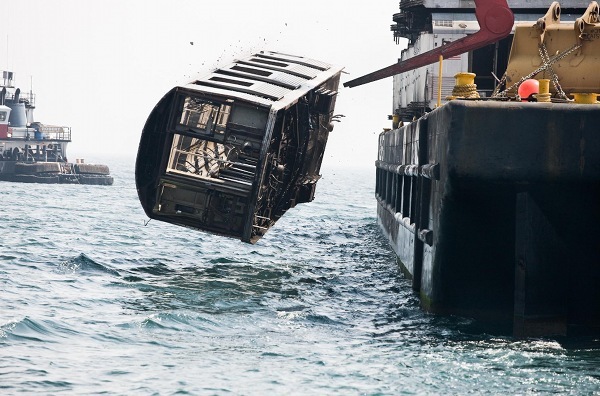 But before they did so, the boat was tested for 3 days to make sure she was seaworthy. When she was, their starting point was San Francisco and by the end of July 2010, The Plastiki sailed into Darling Harbour in Sydney. It crossed the Pacific ocean in about four months with more than 10.000 km behind them. 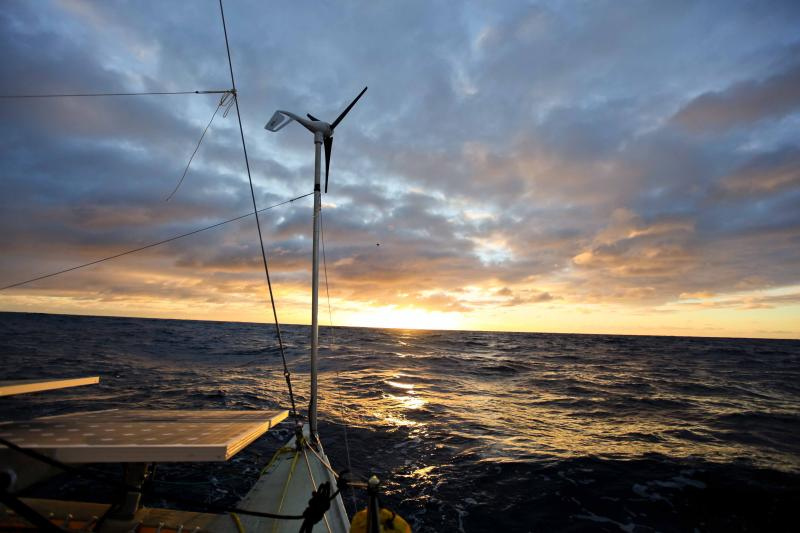 It was planned that during the trip, the crew would pass several sites of ecological importance (like the Great Pacific Garbage Patch) or which were susceptible to environmental issues (caused by global warming). So why did David de Rothschild want to sail across the Pacific on a plastic boat? It is estimated that almost all of the marine pollution in the world is comprised of plastic materials. 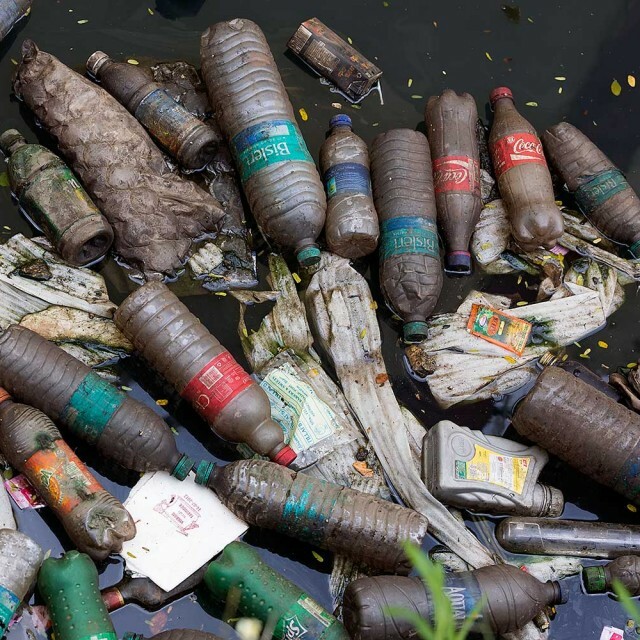 The average proportion varied between 60% and 80% of total marine pollution. In many regions in the northern and southern Gyres, plastic materials constitute as much as 90 to 95% of the total amount of marine debris. Scientists estimate that every year at least 1 million seabirds and 100,000 marine mammals and sea turtles die when they entangle themselves in plastic pollution or ingest it. According to Project Aware, 15 billion pounds of plastic are produces in the U.S. every year, and only 1 billion pounds are recycled. 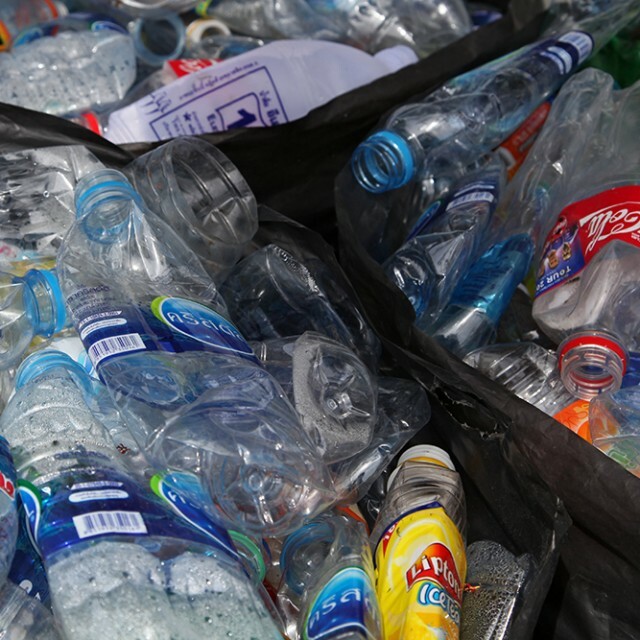 It is estimated that in excess of 38 billion plastic bottles and 25 million Styrofoam cups end up in landfill and although plastic bottles are 100% recyclable, on average only 20% are actually recycled. I think that this project is absolutely great! Showing people, what you can do with recycled stuff and documenting the whole story around it is fantastic. 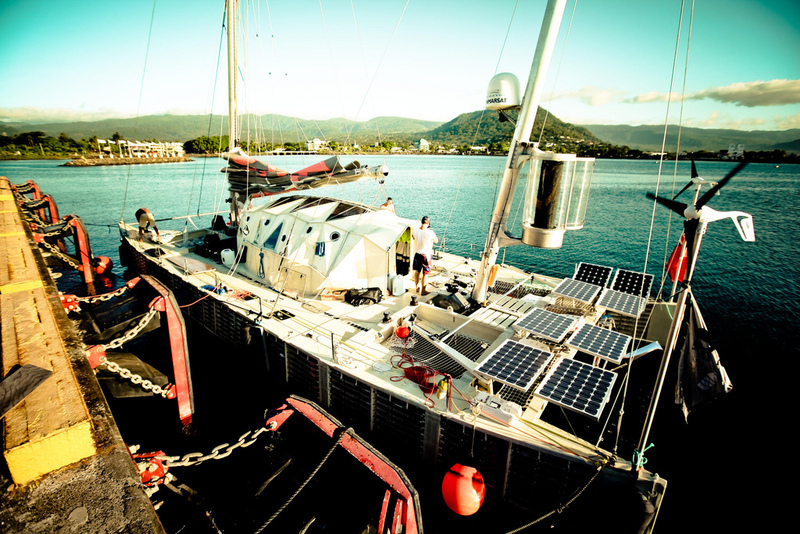 The Plastiki is a one-of-a-kind project and a good example for other people. Well done!